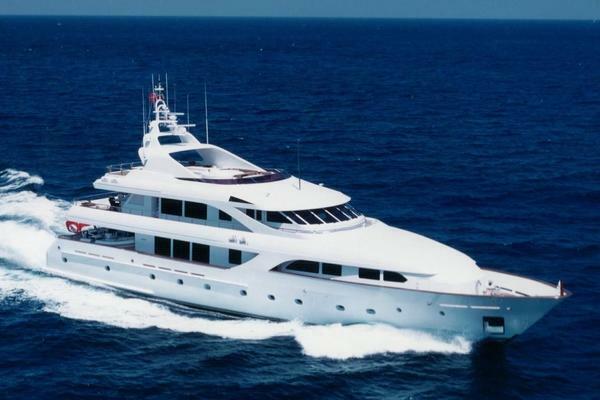 West Florida Yachts would love to guide you through a personal showing of this 144' Benetti 145ft 2007. This yacht for sale is located in Nice France and priced at $11,750,000. For a showing please contact us by filling out the form on this page and we will get back to you shortly! The Master stateroom is located forward on the main deck. With a King size bed, panoramic 180' views, a fully equipped office, top of the range A/V and a large walkin wardrobe. Her ensuite bathroom has a Jacuzzi and His ensuite bathroom has a shower. Large walkin dressing room. Access to a private terrace, not visible from any part of the yacht, featuring a table and a sunbathing area. Two identical double staterooms are located on the lower deck with Queen size beds and shower rooms. Two identical twin staterooms with one Pullman bed in each are located on the lower deck, each ensuite with shower room. The Pullman beds are only suitable for older children and teenagers.